Theatre Of Blood. 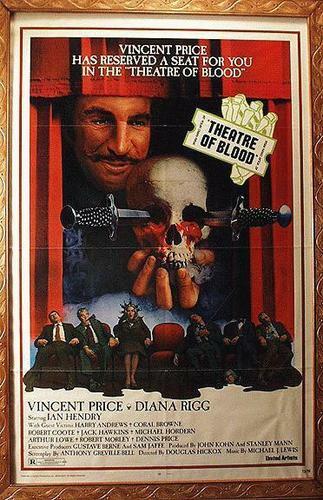 1973 original film poster of Theatre Of Blood which also starred Christopher Lee. Vincent met his Australian wife, actress Coral Browne whilst making this film.. Wallpaper and background images in the Vincent Price club tagged: vincent price horror movies theatre of blood coral browne poster movie collectables.